I considered writing a reviews for each book in this series, but I felt like I had more to say about the series overall than I did about each individual title. So, let me start by telling you about my preconceived notions about this series. I love historical fiction, but I'm not always crazy about fantasy. I'd heard of Clare's earlier series but had zero interest in reading. I think what appealed to me about The Infernal Devices trilogy was the setting. I was curious enough about it to get past the fact that the creatures mentioned in the first book's summary made me want to put this book right back down on the shelf. When all three books went on major sale for Kindle, I decided to just commit. I'm a series lover, so I had a feeling that I'd probably want to finish all three books once I started. As is often the case, the books then just sat on my Kindle and waited to be read. I read Clockwork Angel at the beginning of April, and then I had no real desire to continue with book two. I don't know if I just wasn't in the mood or if I just couldn't get into the fantasy elements, but I wasn't a huge fan. 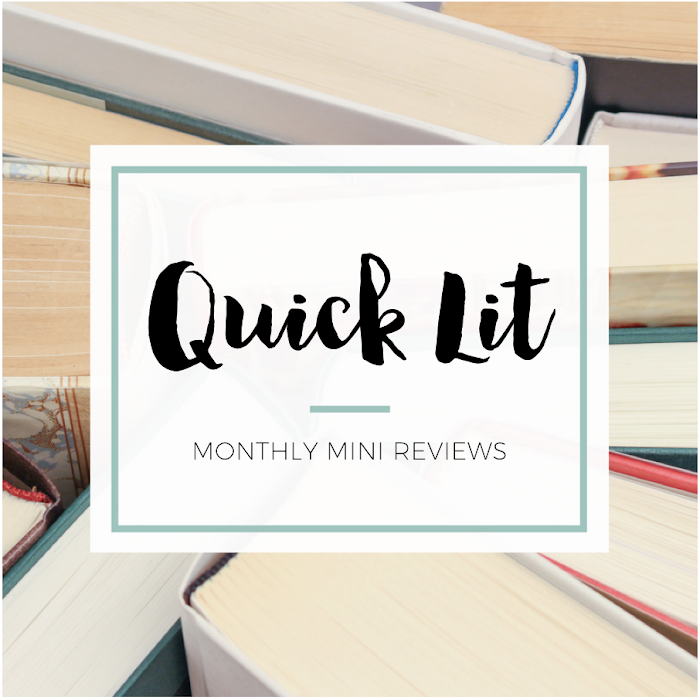 After several months, some awesome reviews from a few favorite bloggers and some pretty convincing arguments from others made me realize that it couldn't hurt to read one more book. In one weekend, I finished Clockwork Prince and Clockwork Princess. Yep, that's right. I devoured these 500+ page books in two days. I can't put my finger on what I didn't love about the first book or why the next two worked so much better for me, but I'm certainly glad they did. I really enjoyed the world and the characters that Clare created! I still have no desire to read any of her other books, but I am so glad I gave these three a shot. I was so surprised by how much I loved the love triangle! I don't hate love triangles, but I do often find myself frustrated with this element in young adult novels. It's become so common and is often resolved so poorly that it's a huge turn-off for some many readers. I won't spoil anything about the love triangle or it's resolution, but I wanted to highlight four reasons why I so enjoyed the love triangle in these books. 1. Tess's love for each boy was understandable. One of the most frustrating things about a love triangle is when it doesn't even make sense in the story. We've all read those books with a love triangle where the final choice seems obvious and the other boy is only thrown in to up the drama. I hate those reads! What's the point of introducing another love interest if the reader doesn't even buy the character's feelings for him? What I loved about Clare's triangle is that I honestly understood what Tess loved about each boy. I may have had a favorite, sure, but it was pretty obvious to me what she loved about each and why they both seemed like a believable romantic interest for her. 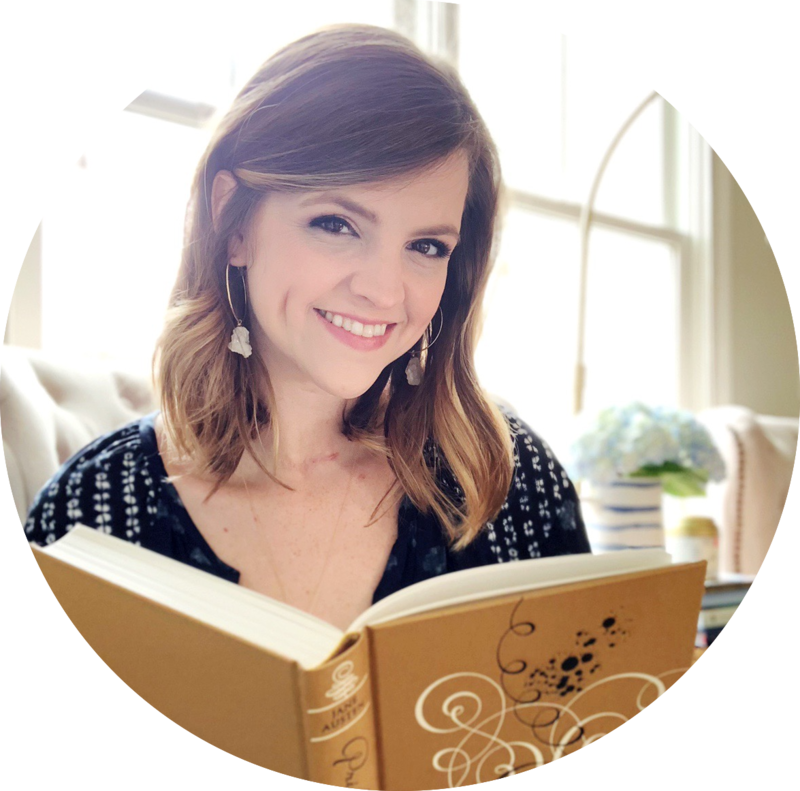 They both appealed to me as a reader, so I could understand why Tess was attracted to each. 2. Everyone involved truly cared for each other and knew no one could "win" in this situation. What makes this love triangle so different from the norm is the fact that the boys are friends first. They have a relationship long before Tess ever comes into their lives. Because of their love for one another, it didn't make the love triangle a competition. They loved one another and happened to love the same girl. It was an unfortunate situation, but I bought that they were initially blind to the other's interest in her. Tess has separate, individual interactions with each boy that show the readers that she has feelings for both, but it's the two boys aren't in many situations that would make them aware of their attraction to the same girl. And once the characters became aware of what was going on, I was glad that they realized that no one could win in this circumstance. The characters aren't selfish - they genuinely want one another to be happy. That made this triangle so unique and refreshing! The friendship between the boys, and Tess' friendship with each, meant they all deeply cared for one another and hated that someone would likely be hurt in the end. Because when that boy hurt, the couple would be hurting for him, too. 3. Tessa did her best to be honest and treat each boy with the respect they deserved. Another element outside the norm is the fact that it didn't seem to be a huge secret (to the reader) which boy Tess has more feelings for. She loves both - but in different ways. I had a feeling throughout the series about which she'd end up with based on the things that she said and the way she acted. I didn't feel like Clare was trying to trick readers. Tess isn't all over the place with her feelings, and she's not deliberately trying to string either boy along. One of my biggest pet peeves with love triangles is when the female treats one (or both) boys with no respect and isn't honest. That's not to say that Tess was a perfect character and never hurt either boy... Instead, I felt like she was doing her very best to think about her feelings for both boys AND their feelings for her. She didn't want to be the source of tension between the friends, and I appreciated her awareness of the difficulty of her position. 4. A happily ever after would have been believable with either boy. This ties back into my first point, but I do still feel that it's a separate reason to enjoy this love triangle. Both boys come into Tessa's life at a time when she's vulnerable, hurting and in need. Both address her needs in different but complementary ways. Despite having a favorite, I could absolutely see Tess ending up with either and having a happy, loving marriage. Not necessarily because I think she loved them 100% equally, but because there was a foundation of friendship in each relationship that made me feel that forever was possible for either pairing. Whew! I know everyone will agree with me because every reader reacts differently to what they read. I didn't feel this book was angsty, but I could see how someone could walk away feeling that way. Either way, I really loved this series! There is so much more to it than just the love triangle, but I have to be honest and tell you that the romance was what I loved more about these books. I'm not crazy about clockwork devices and paranormal creatures, so I was most drawn into the relationship aspect. So, if you've read this series, let's discuss! And if you haven't, have I won you over yet? GET ON IT! I'm planning to read this series this fall -- I read Clockwork Angel when it first came out, but I barely remember it, so I'm going to re-read and then finish the series. Great review though! I'm so glad you agree on the first book! It was interesting, but I just wasn't compelled to keep going. I definitely didn't expect to get so sucked in to the other two books! Yes, I was totally reading for the relationships. I liked that this love triangle was so rare in the way it developed and was handled. Made for really interesting reading! And yes, I love Will soooo much! This is such a well written review of TID, Hannah! You know that I dislike triangles immensely, but I always say that there are exceptions. It used to be that this series and the Unearthly series were my exceptions. But once Boundless came out, that series dropped off the list like a lead anchor into the ocean, and now it's just this one. First, one thing I love about series is how sometimes when I look at their individual pieces (or books), I fell just okay about them, but put the whole thing together and BAM it's magic. I'm glad that you continued on with books 2 and 3 and that you found the magic in these books. Also, I agree with everything you said about the triangle, especial the fact that all the characters loved each other and the fact that Tessa isn't switching between the boys in each chapter, but trying to stick to her decisions and honor both of them as best as she can. I was actually surprised how well the ending worked for me. It was hard for me to take the very last part for a while, but in the end it makes me so happy for Tessa. The burden of immortality is so great! That said, I really hope that this type of triangle doesn't become a theme. I think it worked wonderfully here, but I don't think I could handle it replicated. And I stick to my dislike of them in general. Lovely series review, dear! Thank you so much, Lauren! I'm glad you agree that this is an exception to the love triangle dislike. I thought the same thing about the Unearthly series, but (like you) felt that totally went downhill and fell apart in Boundless. That ending was just terrible. I even liked the boy she picked - just felt like the triangle itself was very poorly handled. I totally agree about how sometimes individual parts can be okay but all together can become something much better. I found it so nice that Tessa wasn't all wishy-washy and stringing people along. That is a quality I'd like to find in more love triangles! But I do agree that this exact type of triangle would not be easily replicated and would be better left to just this series. I don't think it's a completely believable triangle in some ways, so I'd have a hard time if it started showing up in more books. YAAAYYY for TID! I'm SO glad you enjoyed it! I completely agree that it was the relationships that made this series for me, even those that weren't involved in the love triangle. But that love triangle--I love what Clare did with it! It was so well done. And don't worry, you aren't missing out on much by skipping the Mortal Instruments series. I got through the first two books and started the third and just couldn't do it anymore. I guess I wasn't ready to commit to six books, especially since I heard from several people that it should have ended at 3. You definitely hit on what I enjoyed most of this book, the love triangle. So often it feels so over done and fake, but it just worked here. 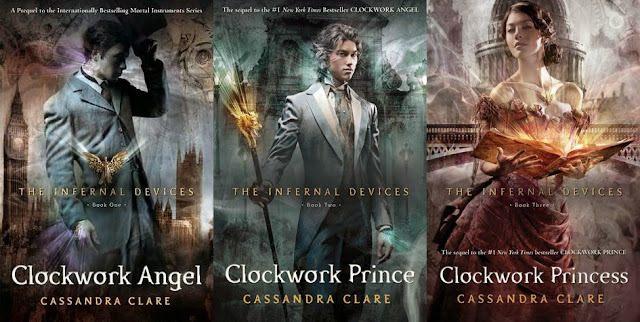 And while I think this is the best series of Clare, do think it would make sense to someday read The Mortal Instruments, if only because the characters do tie together, and especially considering the ending of The Infernal Devices, are very closely linked. It's so interesting to see what other readers have thought of this series, especially with regard to the love triangle. Thus, I really enjoyed reading your post here. I only wish I had gotten the same level of enjoyment out of the books themselves! It was interesting, sure, but I didn't feel as though it was entirely believable. I just want you to know that knowing you enjoyed this series is making me even more inclined to want to check it out! I'm a bit wary of Clare's books after reading the first two, and skimming the third. I've been intrigued by this one for a while, mostly because of the setting. But the way you talk about the love triangle + characters in it makes me really curious! I don't know if I'll ever end up reading it, but your thoughts are certainly a solid argument. Great review! Yeah, I actually don't plan on reading anything else by her (particularly in this world or with Shadowhunters). I thought this series was very well-done, though. I'll be curious if you end up reading! I thought it was so much better than I'd ever expected.